As a blogger and influencer, I realize the need to update my blog on a regular basis. But I also know that merely updating the blog and feeding it with new, unique content will not guarantee success; most professional bloggers like myself also need to acquire 'social media intelligence' over the years to stay in demand and always ahead of the pack. And that's where ThoughtBuzz comes into play. 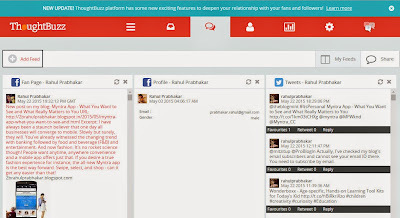 ThoughtBuzz launched its new B2B app in 2008 with business analytics and big data at its core. 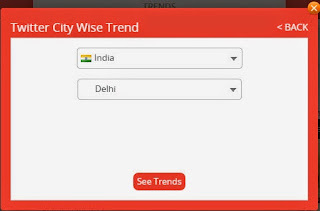 Within no time, the app established a footing in the crowded space of analytics, with over 10,000 users on their platform. 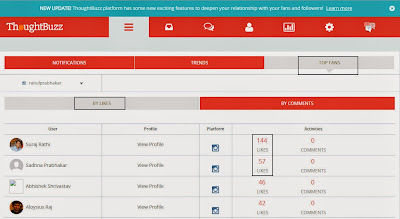 For a person like me who literally thrives on social media, ThoughtBuzz offers in-depth analysis about what kind of content is working on my social accounts, for example, my Facebook page. It also provides me actionable insights into how I can strategize content for Facebook, Twitter, and Instagram, making it more relevant for my market. 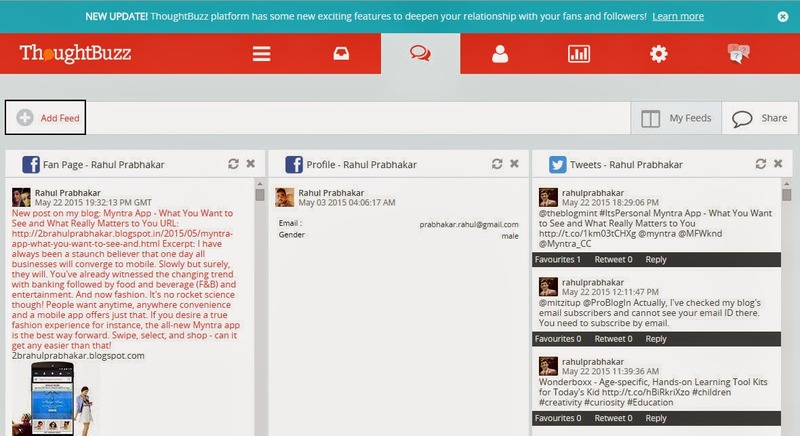 I can track every update and activity on my social accounts through ThoughtBuzz. The app is fully optimized for both web and mobile. In other words, the graphs, charts, or tables on ThoughtBuzz appear seamlessly on any device, be it laptop, tablet, or mobile. When you are dealing with a large volume of social data like fan growth and engagement on sites like Facebook, Twitter, YouTube, LinkedIn, and Instagram, it is important to interpret the information properly, so you can take informed decisions. ThoughtBuzz sieves through heaps of data and collects meaningful insights that can be viewed on an easy to use dashboard. Registering as a new user on ThoughtBuzz is a breeze. 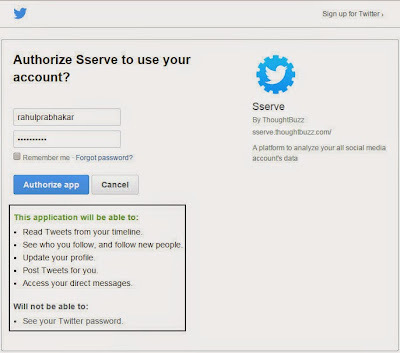 The app allows you to sign in using your Facebook/Twitter/Google+ credentials. I chose to register using their standard form, where I had to just manually key in some personal details like ID, password, name, email ID, and country. It didn't take more than two minutes to set things up. If you have a coupon code, you can enter it to unlock features and avail the platform benefits firsthand. 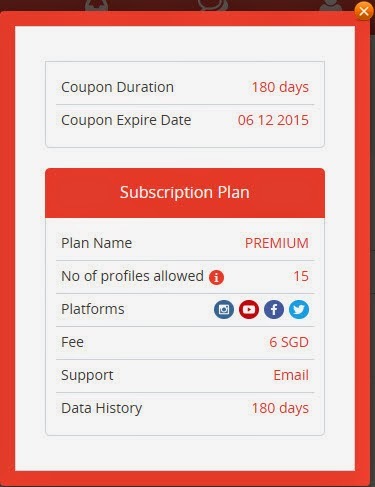 Luckily, I had a coupon which entitles me for a six months premium subscription of ThoughtBuzz for free. Isn't that cool! You will not be able to view analytics or see what's trending on ThoughtBuzz unless you add your social accounts under Settings. 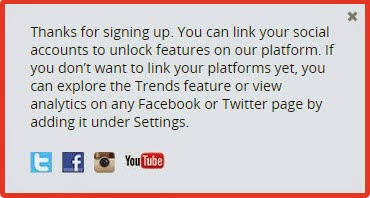 I recommend that you add your Twitter or Facebook Page info at least to get the ball rolling. 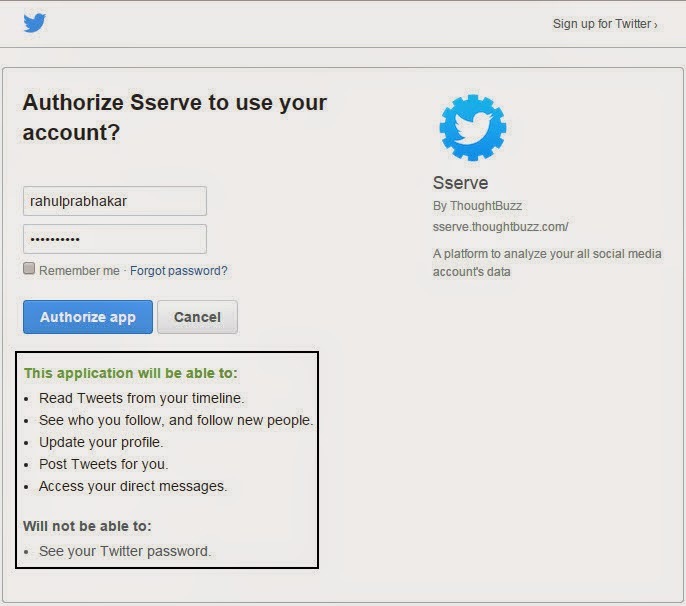 A word of advice though: While authorizing ThoughtBuzz to access your social accounts such as Twitter, be mindful about what info you're agreeing to disclose. 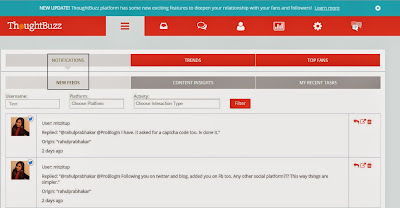 Added your social accounts on ThoughtBuzz? You can now view them on the dashboard. Once set, you can view all the New Feeds under Notifications. Reply, create issue, and delete the user feed in just a single click. You can also see content insights such as count of the likes, retweets, and shares along with your recent tasks here. 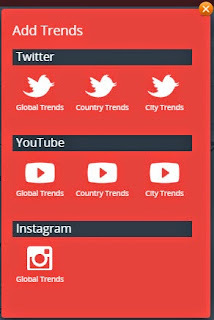 This interested me the most, as here you can view what's trending on social platforms like Instagram, Twitter, YouTube, etc. As a blogger if I want to drive traffic to my site, all I need to do is generate quality content around that trend. 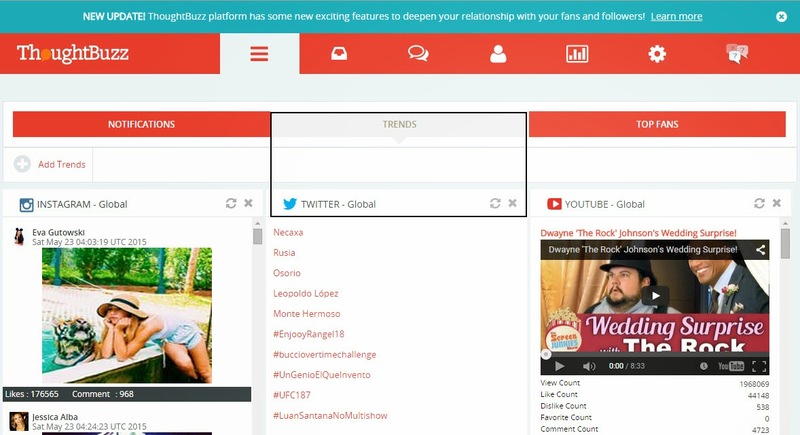 You can even add trends (global, country, or city) for your preferred social account depending on what info you require in real-time. I've always been intrigued about who my top fans are. Thanks to ThoughtBuzz I can view who those people are on each of my social accounts based on the number of likes and comments I've received on my posts. 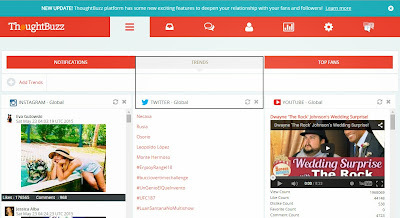 I can add feeds from my Facebook profile, fan page(s), and Twitter account on ThoughtBuzz. 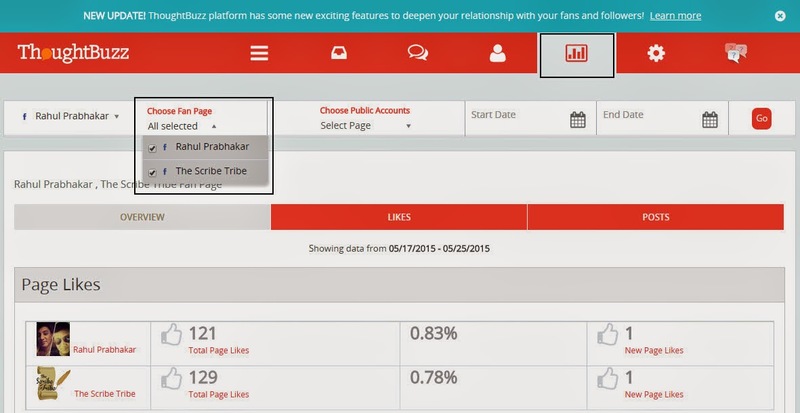 That's not all; I can even import followers and fans from my social accounts and see who engages with me the most. 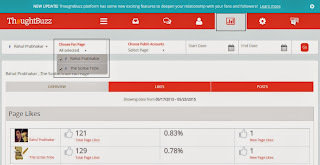 Select a social account, fan page (in case of Facebook only), public account, and dates - and voila, you can obtain statistical info in the form of graphs and charts within minutes. I was ecstatic to see my page likes, comments and shares, page reach (Organic versus Paid), engagement, etc. 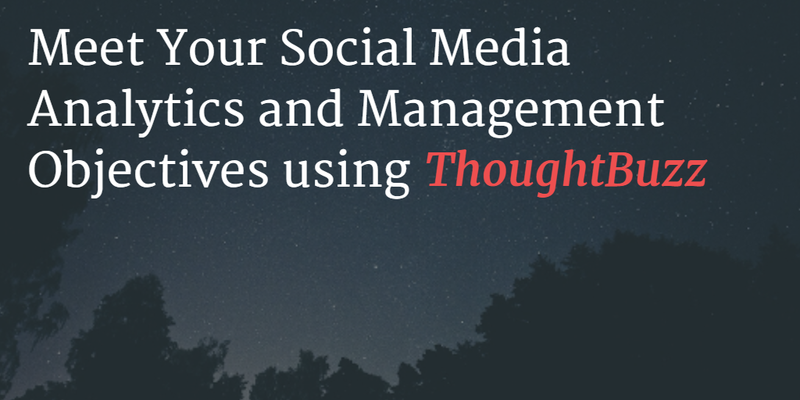 ThoughtBuzz is undoubtedly one of the best social media monitoring companies in the world today. Their flagship app has further elevated my understanding about social media tracking and provided deeper insights into which social accounts work best for my intended audience. 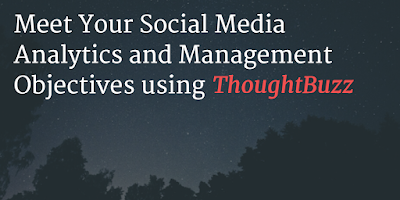 If you're using social media for professional reasons, ThoughtBuzz can become a daily habit to meet your social media analytics and management objectives.